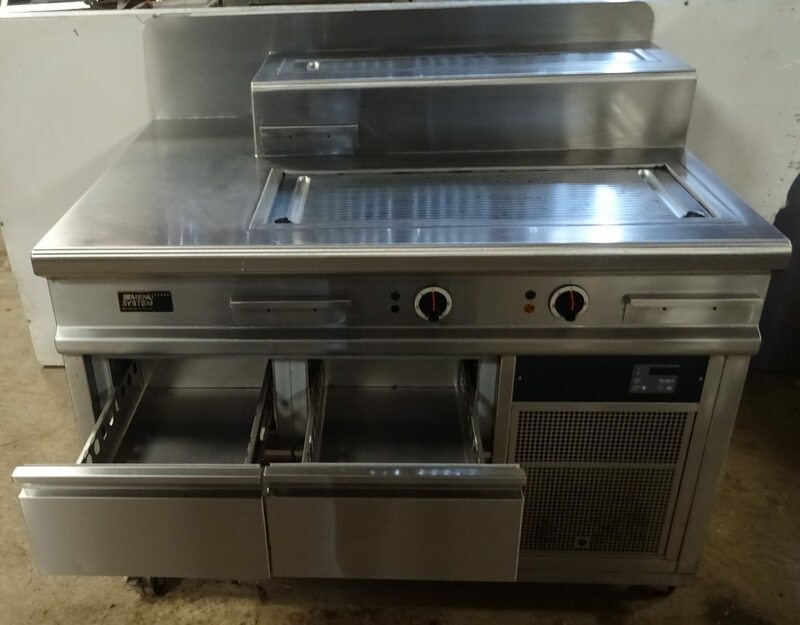 A little unusual, this is a dual height electric griddle station with refrigerated drawer storage. 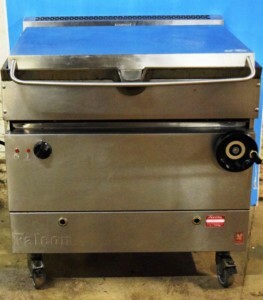 Both griddles are ribbed which is ideal for frying steaks, fish and vegetables. Menu Systems is a Swiss based manufacturer supplying tailor made high-end appliances to customer specification. 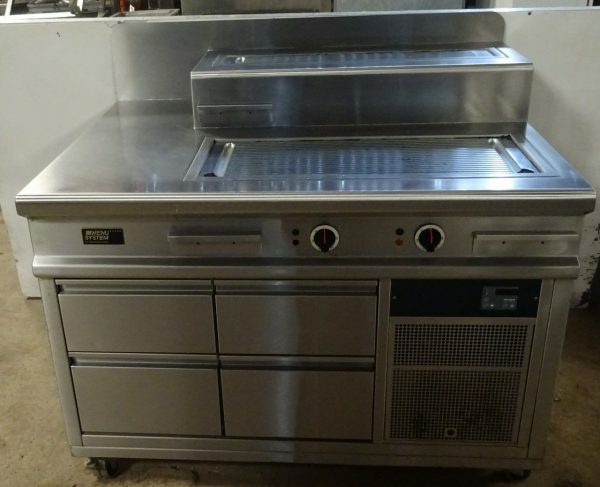 This dual griddle chill base unit cost the owner over £4k new and was used in a Tapas Restaurant. 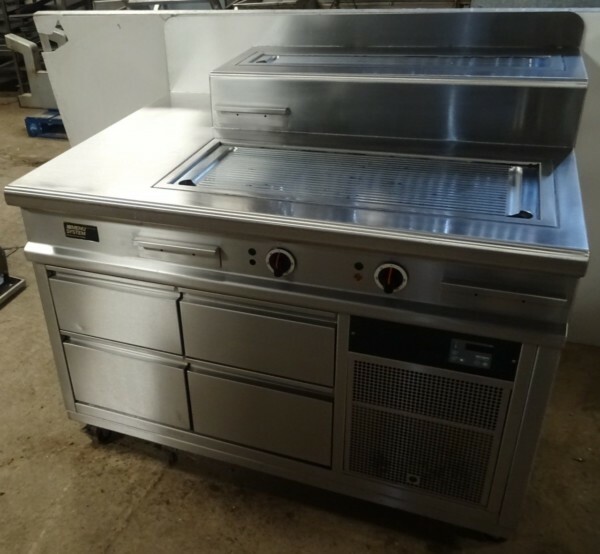 With 4 Chilled gastronorm drawers beneath, a work station to the left and two ribbed griddles, one at work height (84cm x 34cm), the second smaller one (84cm x D14cm) raised to the rear. Each drawer accommodates gastronorm trays. 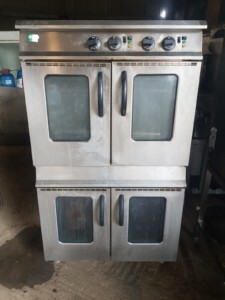 High grade stainless steel and high end Swiss manufacturing. 2 x 3 Phase (12 & 6kW) power supplies required.